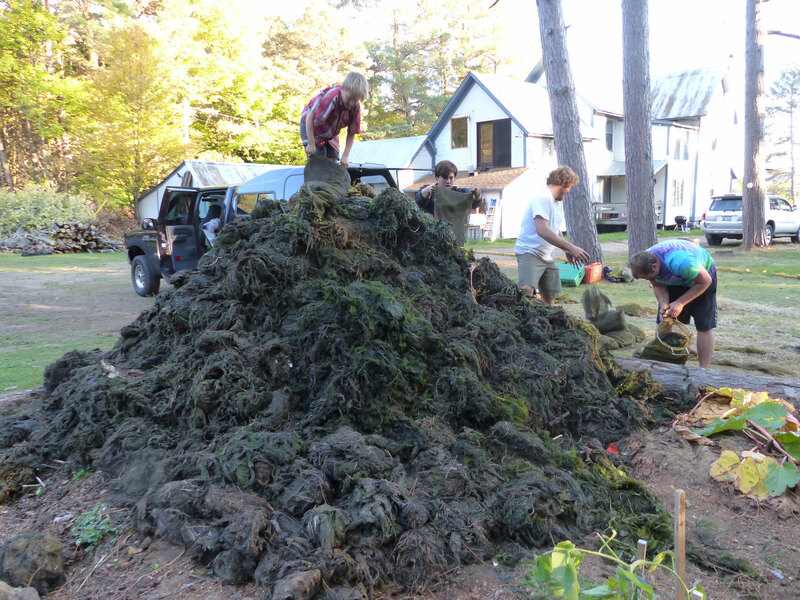 Aquatic invasive species (AIS) pose a significant threat to the Adirondack environment and economy. 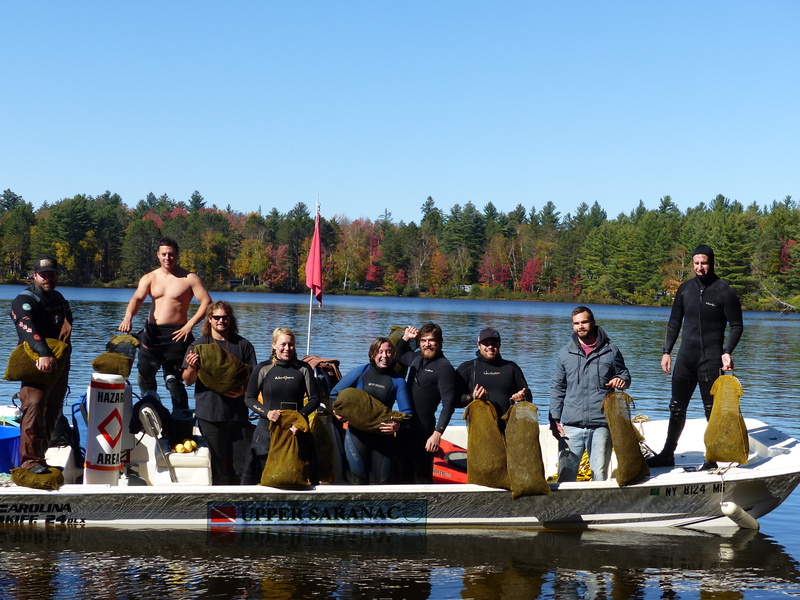 For more than a decade, the Upper Saranac Foundation (USF) has worked to address invasive species on Upper Saranac Lake (USL) through coordination, prevention, education, detection, and management initiatives. The USF has had unprecedented success in managing AIS and could arguably be considered the leader in AIS management techniques. We are now expanding USF’s successful AIS hand harvesting program for the Saranac watershed into the NYSDEC campground at Fish Creek. The Campground at Fish Creek is a significant source for spreading AIS throughout the region. With 355 campsites the Campground is the most used public campground in the State, averaging 120,000 annual visitors. The water bodies, Fish Creek and Square Ponds are located in the headwaters region of the Saranac River watershed. 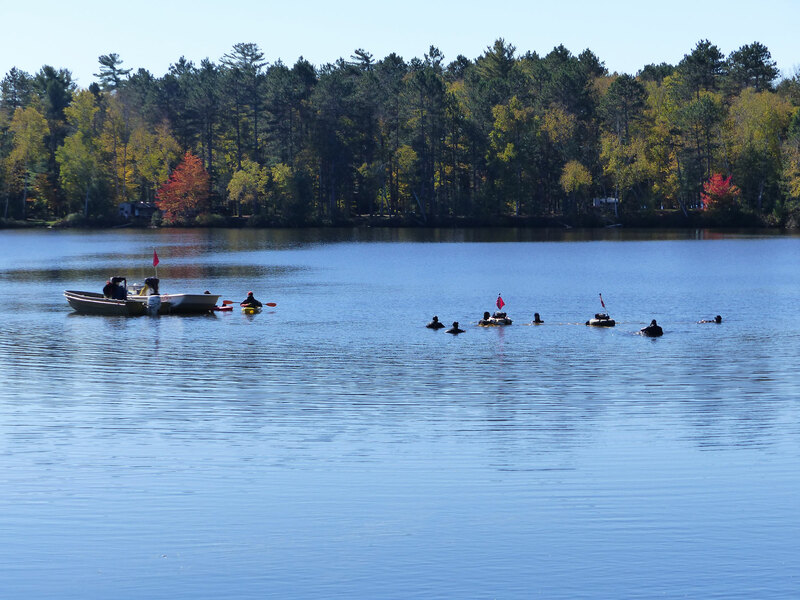 With all sites having direct water access, campers enjoy the opportunity for water based recreation and access to USL.. 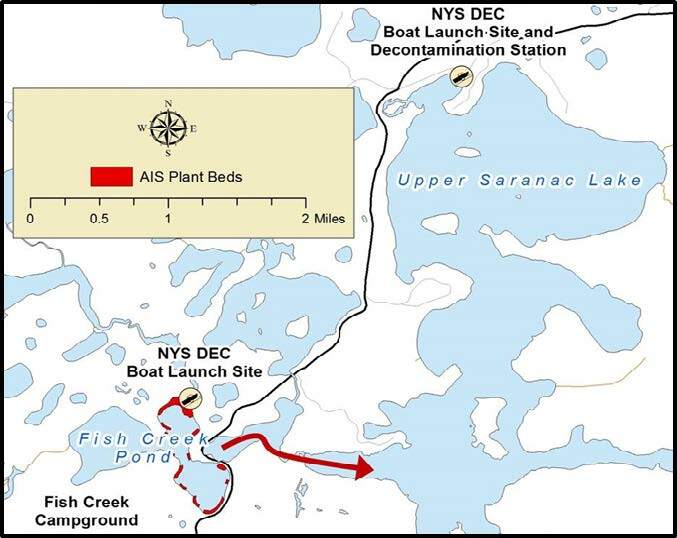 The Fish Creek Aquatic Invasive Species Management Project (FCAISMP) will reduce the spread of AIS and improve the water quality by removing Eurasian watermilfoil and Variable-leaf milfoil, two AIS found in the waterbodies of the NYSDEC Fish Creek Campground. 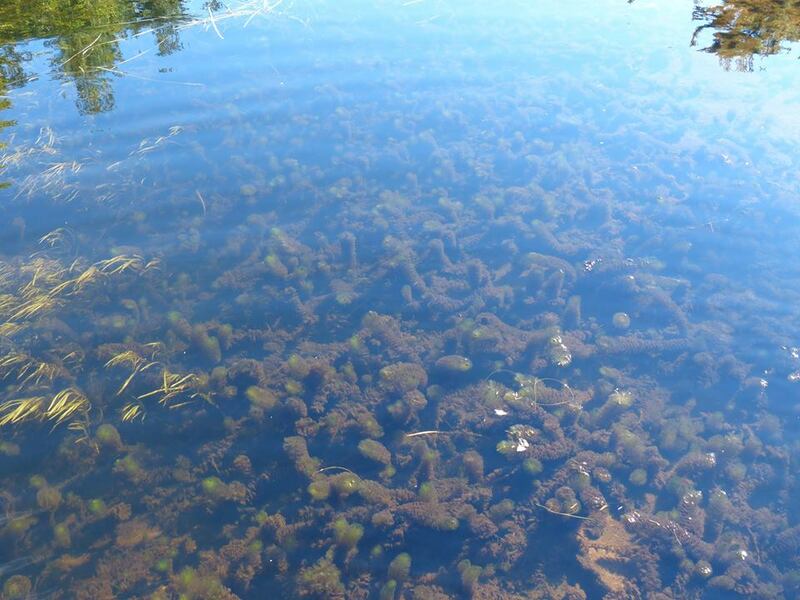 New York State ranks Eurasian watermilfoil and Variable-leaf milfoil as the top AIS in the State based on their ecological impacts, biological characteristics, and distribution. Removal and control of AIS in the USL watershed improves water quality, protects downstream waters from infestation and helps prevent the export of the known populations of AIS to non-infested waters. This project is part of a watershed protection program recently developed that uses a combination of AIS prevention, monitoring, and control activities to inhibit AIS from establishing and spreading in the watershed. The project, designed to combat invasive species will improve water quality and maintain native species in their natural habitats, ensuring the sustainability of our natural public resources for future generations. The program protects economic value through recreation, tourism, sportsmanship and second home ownership by providing clear waterways.